Wade Miley lasted just 2⅓ innings on Wednesday, allowing seven runs. The Red Sox are doing just fine. They’re 6-3 and in first place in the American League East. They’ve won three straight series to open the season for the first time since 1952. Their lineup is scoring, though Wednesday’s matinee was a stinker, a 10-5 loss to the Nationals in which the offense showed some fight and made it a game for a while. Mookie Betts has been sensational. Brock Holt has been fun to watch. Hanley Ramirez has been powerful. Plus, a good return by Koji Uehara on Tuesday. But it’s April. Some scouts don’t even submit reports on minor and major leaguers this month. It can fool you, good or bad. 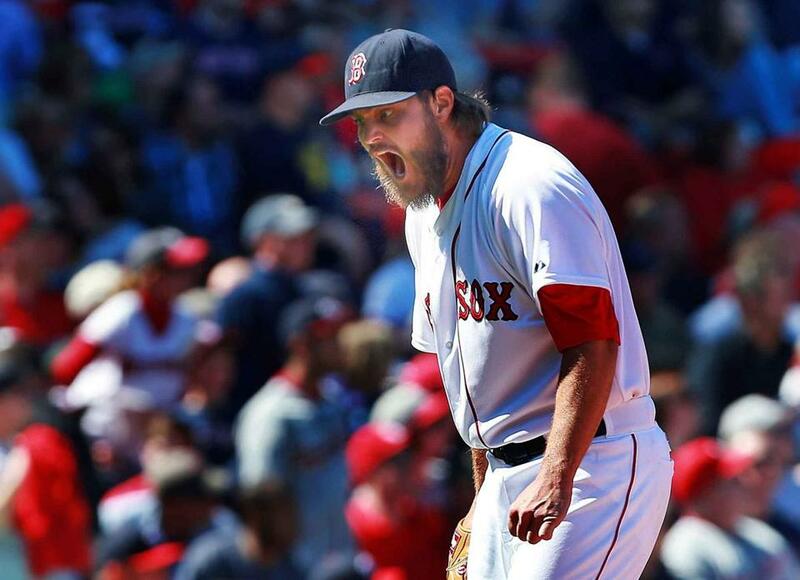 Wade Miley yielded seven runs over 2⅓ innings in his first start at Fenway Park. April can be an indicator of things to come, as it was for the 2013 team. But in 2015, there’s already something to keep your eye on, and let’s limit it to that for now. The starting rotation has been an eye sore lately. When Clay Buchholz pitched that great game against the Phillies in the opener, the Twidiots were out in full force. Still want Cole Hamels? When you ask about the rotation, Red Sox management might as well play Shane Victorino’s walk-up song — “Everything’s Gonna Be Alright.” Not saying it won’t. Not saying it will, because April is April. Position players and pitchers either jump out of spring training and embrace it, or they stub their toes. Plenty of pitchers already have done so. Hamels allowed four homers on Opening Day against the Red Sox, but he recovered with seven innings of two-hit ball against the Nationals his next time out. Jordan Zimmermann and Stephen Strasburg were terrible against the Red Sox. Buchholz was great against the Phillies, horrendous against the Yankees. Justin Masterson was awful on Tuesday, but the Red Sox still won when the Nationals stumbled and bumbled. Wade Miley couldn’t get out of the third inning on Wednesday. Since the season began, Buchholz’s Opening Day win has been the best of all. The rest of the starts by Red Sox pitchers have had their blemishes. Rick Porcello has been solid, but he lost his first game when he allowed a three-run homer to journeyman Jeff Francouer after dominating the weak Phillies for five-plus innings. And while he pitched deep in a blowout win over the Nationals (eight innings, three earned runs), he did allow two home runs, giving him three in two starts. Porcello received a four-year, $82.5 million extension on Opening Day. Miley’s outing Wednesday lasted 2⅓ innings, as he allowed five hits and seven runs in his first Fenway start. The ground ball pitcher was more like a fly ball pitcher. Masterson’s start Tuesday lasted 4⅔ innings and he allowed eight hits and seven runs. Buchholz on Sunday in New York went 3⅓ innings, allowing nine hits and nine runs. “Things unraveled pretty quickly [for Miley], as was the case with the whole turn in the rotation this time through,” lamented manager John Farrell. Farrell already has had to use relievers for multiple innings a few times, after declaring in spring training he didn’t need a long man. And he still believes that. We didn’t think the Red Sox had an ace, and they don’t. And one is not going to be easy to come by. Joe Kelly had an excellent first start against the Yankees after coming back from injury, throwing 97 miles per hour at times during a seven-inning outing in which he allowed just one run with eight strikeouts and two walks. But the fact is, he had a biceps strain, which is worrisome when looking down the road. Kelly has never pitched more than 124 innings. We didn’t think the Red Sox had a spectacular rotation — although they have submitted five quality starts — and they haven’t been spectacular so far, but the Nationals’ uber-rotation has not lived up to expectations, either. The Sox starters are 4-3 with a 6.15 ERA, allowing 34 runs and 43 hits in 49⅔ innings. Buchholz, the supposed ace, is 1-1 with a 7.84 ERA. Masterson is 1-0 with a 7.59 ERA. Miley is 0-1 with a 10.57 ERA. Porcello is a respectable 1-1, 3.86. Buchholz didn’t show himself to be a leader when he didn’t back up the bases in New York as he was getting tattooed. 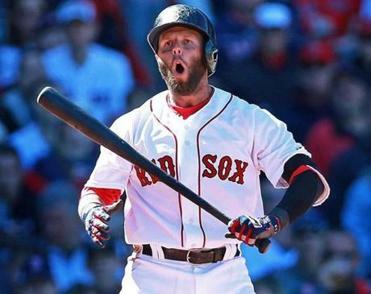 The Red Sox already have bailed out their pitchers because they can hit. They have scored 56 runs in nine games, but they’ve allowed 50. Not much of a run differential there. They have a potent lineup, and in some games they’re going to be able to cover up the pitching mistakes. What’s been alarming so far is Masterson’s lack of velocity, Miley’s inability to remain focused and repeat his delivery, Buchholz’s helter-skelter performance, and Porcello’s good but not dominating outings. And the Red Sox aren’t alone. The Yankees have had their issues with Masahiro Tanaka and CC Sabathia. Jon Lester, the ace that got away, has had two poor starts for the Cubs after signing a six-year, $155 million deal. Clayton Kershaw allowed five earned runs and 10 hits against Arizona in his last start. Madison Bumgarner threw a beauty against the Diamondbacks, and then went three innings and allowed 10 hits and five runs against the Padres. On the flip side, James Shields has had two excellent outings for the Padres. Julio Teheran, Jake Odorizzi, and Matt Harvey are each 2-0 and have been spectacular. You need to have a crystal ball to see how this is going to go down the road. Right now, it’s not very impressive. Yet all things considered, the Red Sox haven’t paid the price, they’re in first place. It’s April. Not time to panic, but time to pay attention.